What exactly is a form of UPKD BRDP now? These questions are difficult and easy answer it. Easy answer, never mind an important road, its form followed, later if we have a new capital of its shape, what would you like to make a bank, BPR or Cooperative. The answer is quite long and it's trouble that will be discussed in this article. This question is more vigorous, proposesd by a UPKD, or related components in either implicitly or BRDP explicit. Due to the financial institution set up by the community there is a 3-year-old, two years. More importantly that the project will end up BRDP! The answers to these questions will be the basis of the formulation in making regulatory programs and revolving fund activities procedure. Rules of the game that the fix that is contained in the Charter/Bylaws UPKD. This rule can mean a written rule that exists in the UPKD and the unwritten rules that are understood as customary law/norm. The answer to this question is the crystallization of the vision and mission that the election was UPKD. Later reflected in the motion of the UPKD to the notion that the community is pretty deep, so they know what and for what, for whom what and who does what. Answered the question becomes very important to the next step, the philosophy of UPKD and the project would undergo a shift BRDP. Where these activities through the establishment of a community development financial institution that is called by UPKD. UPKD was formed by the community through the forums of deliberation of the village. Stewardship also formed in this forum. For the next turn of the Executive Board conducted at the time of the annual Member meeting (RAT) where members present are all the other villagers, both as users/borrowers or not. Thus the UPKD property of the community or belonging to the village? Now we see how far the authority of the village to village in particular UPKD. The passage of UPKD and its administrator through a decree issued by the head of the village with known Pimbagpro BRDP. This letter stated the results of the deliberations of the village has formed and elected Governing Board of the UPKD. The head of the village do not form UPKD following select administrators. Establishment and election of the village community approval. Decree of the head of the village is the mandate of the community of the village. Also, the village otherwise not entitled to dissolve the UPKD and its administrator without Community approval through the deliberation of the village. 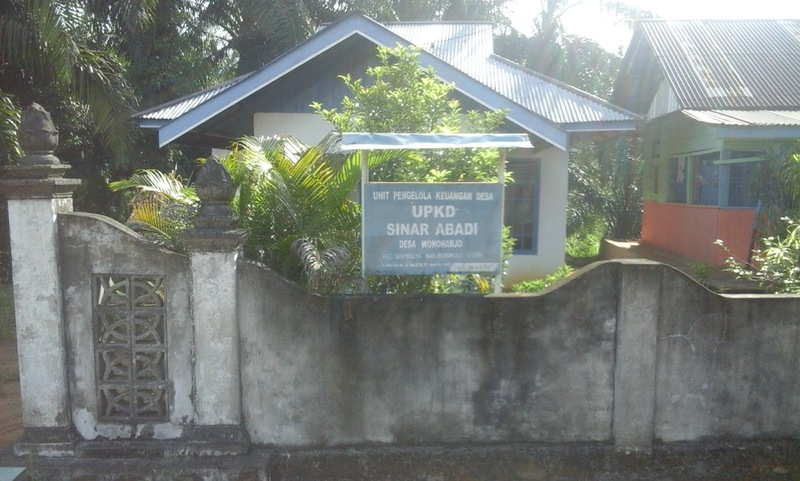 Means on the basis of the Agency and its administrator pembantukan UPKD, UPKD does not belong to the village but belonged to the people of the village. Even Chairman pokja/verification team is not necessarily the head of the village depending on the results of the deliberations of the village. The extent to which public ownership the village? Regarding the ownership of the venture, known to some form of business, all of which are associated with the risk of the owner of the business losses of course also includes business advantage. There are individual companies, the risk is fully borne by the owner. Fellowship (CV, Firma) where there are some people collect a certain amount of capital to do the business risk is to engage the Allied/treasure probadi active members. Perseruan Limited (PT) in which the risk is only limited to capital invested (shares), not on private property owners. Forms of cooperation which is a group of people with a capital savings members and stock donations. This form of ownership will appear once in the financial statements balance sheet presented are in the form of a capital company or capital of such institutions. What is UPKD approaching a form of cooperation? In co-operative ownership is a member, because the Member meeting held supreme power. Its members are the ones who have paid the deposit principal amount. Cooperative capital is sourced from the subject, the mandatory savings deposits, savings and capital from voluntary donations (usually Government). Capital savings rather than as private equity, he is identical to the duty, as it does not bear the risk of loss. A capital loss is frequently bear capital donations and fertilisation of the capital. The actual financial cooperatives are the property of donation does not belong to a member. If the cooperative experience losses then borne by the Executive Board and the Fund of the donation to cover it. Members are not involved in the bear the loss, the loss incurred is not accepted or the reduced value of SHU at the end of the year. If that is so then UPKD behave ownership rather than on members of the public are modal/giver (BRDP). If UPKD apply slightly different with the cooperative, then there must be a number of funds included in the UPKD capital, whether it is called with stock or store of subject matter. Where in the event of a loss then these funds cannot be retrieved because a capital debt UPKD UPKd, not on a member. If the UPKD are having a bankrupt then this becomes a risk capital granted by the Member to be charred. In accounting the Agency is owned by the owner of the capital. UPKD does this pattern can be said to be the new owner because the community join the bear loss financially. Where is the position of the BRDP Fund in UPKD? Dana BRDP included in UPKD in the operational guidelines Juknis known as the village grant, rather than the community grant. From this term which has this Fund is not a village society. Next we see farther than the decline in the Fund. The Fund does not immediately drop to BRDP village. Before melting, first there is the filing of a borrower to UPKD who comes from the community. Based on these project management application for County disburse funds to the account UPKD to next thawed to the claimant. The borrower of funds, and revolving fund have a responsibility towards the smooth disbursement of additional funds. If the rate of return do not reach 90%, then there is no additional funding from BRDP. The addition was also adapted for a loan from the community. See this process means that the Fund clearly does not belong to the village of BRDP, because there is no role for the village in disbursements. Involved actively is UPKD and the community as a borrower. Whether this belongs UPKD BRDP Fund or society? If the funds were disbursed to the account UPKD was not specified from besar-kecilnya demand potential borrowers but by UPKD, then UPKD that decided a revolving fund, channelling these funds belong to the community due to his being UPKD is not specified by UPKD not the community. The community just as a borrower or user benefits only. Fact on UPKD at this time, funds are disbursed on the basis of an application the borrower and the borrower's funds, accomplishment account UPKD just as its only. Then the funds are the property of the community not UPKD BRDP. Could it be that UPKD in the form of a bank? There are specific tasks that the election was by UPKD, namely poverty. This task is carried out with the first two paths, with the granting of loans to the venture community to increase revenues, and the second through coaching to the community in the management of the business. For the second task does not see the borrowers/clients or not because it's part of the development community. This task only on the institutions that are not pure business. Business-oriented Bank. Banks don't do coaching clients/people (savers and borrowers). Coaching is done is the construction of the credit. Coaching is provided is socialization of instruments and mechanisms of banking is not in terms of real enterprise development. Credit in formation, during the current loan payment (credit Smoothly) it is not done despite coaching loan usage not in accordance with peruntukannya. Bank profits given only to the owner of the bank (shareholders) no are given to customers (members) either directly or indirectly. Awarding of prizes, bonuses or other similar thing related to promotion and this is a function of the cost of which was eventually included into the cost of interest. The bank's customers is not sound policy bank in punja, policy lies with the owners (shareholders). UPKD grow and develop is not by himself but by many of the components involved, from mentoring, coaching and community participation. There are two things that need to be a concern, the first how to shape UPKD masyarakt coaching and an independent and sustainable. Expected after a program, no longer funds the BOP, but UPKD can finance its needs such as inventory, equipment and operation of usahannya. Then to her coaching and residents as a member of the UPKD can be done by UPKD. They can invite someone more expert to areas of need or do business studies elsewhere at a cost of UPKD no longer from the Government or the project. The second consideration; public participation could grow through coaching which is awakening and enlightenment against manfat which can be obtained with the UPKD. Its continuation will be very dirasaka its benefits either directly or indirectly. Directly as an owner, he will earn a profit venture (Division of SHU), as a member of the community in the village and the surrounding villages are feeling the benefits of ease of access business capital. Benefit indirectly is the construction of either physical or non physical (like mental, keterampial and knowledge) which was driven by UPKD. It is possible to come, which will build the infrastructure UPKD and means needed by the public village through the keswadayaan and her participation. There must be a project of the Government, or UPKD as mediator by the authorities for the construction of infrastructures with by applying his experience in building the infrastructure for it. These functions cannot be performed, by the bank's financial institutions. UPKD can perform similar managerial activities management credit bank. But he is not a bank. How UPKD's Profit Sharing ? Profit sharing is becoming very important and is the hallmark of the business form. Profit-Loss is a great risk of venture capital. On the Division's profit mission should look clearly UPKD. There are some keywords that are important to base the profit distribution/SHU (net saving). UPKD is a community-owned village was subjected to BRDP. The funds of the UPKD are the property of BRDP community who are conducting activities revolving funds and the development of the community. UPKD is a financial institution which has the Mission of poverty reduction and development of the village. Proportion distribution of SHU (net saving) contained in the Bylaws (Anggaran Ruman Tangga) is currently not absolute UPKD with such a percentage. Great value considering the priority needs of UPKD. If the current priorities in expanding lending to a member of the UPKD, then the fertilization of capital take precedence. If one day education administrators, groups the borrower verification team and others then the proportion of the funding of education can be enlarged. This decision was based on the deliberations of the village and is contained in the bylaws. If the needs and infrastructure become very urgent then it can be only a proportion of the Social Fund for development village becomes larger. Ownership as a service for risk capital granted to UPKD worth of shares. The contribution of capital in the form of fertilization is a member of the Principal Deposit (SP) , mandatori deposit (SW) and savings (SS) if not given the interest each month. Active pay so peinjaman paid off in the period of the financial year. It obtained the participation of the keep and develop the Fund as capital BRDP UPKD. Other members are passive, will obtain SHU indirectly in the form of training to members, be it in the form of skills training, increased knowledge and so on. Social Fund can be contribute by UPKD to community development to the public interest. Here, UPKD can build facilities and infrastructure village independently. Save loan microcredit, will be exposed to the risk of depreciation of assets productive, either from a delay in payment, arrears up to bad debts. This needs to be anticipated to stoke the shrinking earning assets taken from the profit. How form UPKD Organization sustainable? At the beginning of the formation of the UPKD, all Trustees are elected democratically by the people. The end of the tahuh 2003 election pattern changes. This change saw the need for the ability of administrators in managing the funds. Administrators are chosen by the communities directly was Chairman. While the Secretary and the Treasurer is the technical term, his election through selection or test by facilitators and JMF (Junior Micro Finance). The nomination of the Executive Board is carried out by applying in writing to the Governing Board of the Election Committee. These patterns also change to anticipate changes in governance at any time. Management activities so as to not be from the beginning by a new one. Because there is still the Secretary and Treasurer who still has not been changed since it was not directly elected by the people. The verification team or selected by the public fixed POKJA democratically in accordance with term of governance. Selection of the team is able to bebarengan with the election of the Chairman of the UPKD. What about the legal aspects of the institution and the power of the UPKD of the dispute with the customer? Seen from the explanation above, institutional patterns include pattern new UPKD. If you want to use the legal type of business that exists, then the specificity of his mission will change. While there has been no laws that govern them. While waiting for the set of the ACT of microfinance, can be issued regulations which gave the area the legal umbrella to UPKD with the special characteristics. Aspects that need to be an arrangement among others: UPKD ownership, organizational system (election and the formation of the Executive Board), pattern formation, gathering together the funding mechanism, standard administration and financial UPKD, sources of income, profit sharing (SHU), and sysop liability mechanism pokja, internal control, pattern measures rescue loans, and the Act of settlement between UPKD with customer in the event of a dispute. How a sustainable pattern of formation UPKD? Expiration of the accompaniment of the project, then the facilitator with the other team will come to an end. To be able to keep the assets that have this village formed an ongoing mentoring is required. Mentoring is the responsibility of County Government. From the idea before, there are two patterns of mentoring can be done: first local, i.e. companion idea companion who comes from the village. Its function as a caretaker, pokja mendiator, the community and the outside of the village. They are not elected by the people but by pokja and administrators. The second idea was the establishment of internal control UPKD team (Internal Control) that act as trustees and administrators UPKD pemeriksan activity and Pokja. The task team could be developed as a function of facilitation UPKD with outside parties. Team members are originally from the village are combined in one town to the unity of the team. He is responsible to the head of the subdistrict level coordination team.